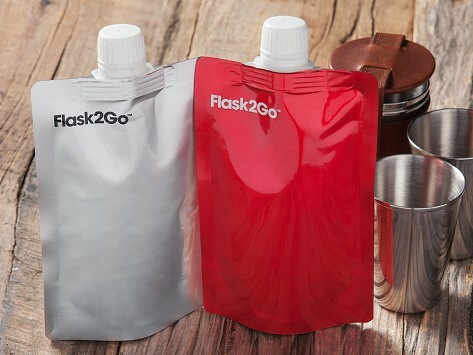 These are perfect for travel and party times. This will be a great Valen-versary gift for my husband of 46 years. I gave these to my boyfriend for Christmas!! He loved them and is planning on taking them on his ski trip this year. Great product! Bought these as a stocking stuffer for my husband. He's delighted with them. They'll be good when we go tubing in the summer, but he can also use them now, to take a little liquor along when he goes to his outdoor mancave.